Originally from London Kris moved to Cornwall as teenager. After winning a talent contest she worked as a singing waitress at a Penzance Holiday camp. 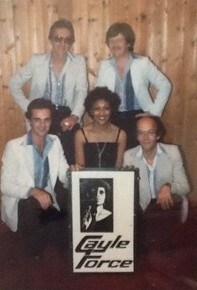 She would then join Matrix, alongside Mike Harwood and Nigel Uren, performing Jazz-Rock. 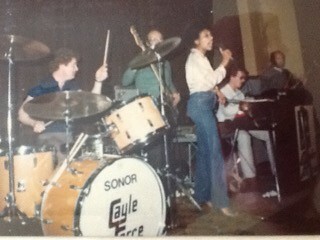 After Matrix she formed her own group, Gayle Force, performing jazz-fusion. One of the most popular Cornish groups at the time they had regular work and also made a number of recordings. Kris would also work as a session singer at the Sawmills. The original line-up lasted about a year, before Rob left for London to work for speaker company Harmon Kardon, eventually settling in America and working at their headquaters. Rob was replaced by Mike Harwood. 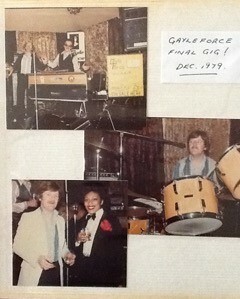 Gayle Force eventually split in 1979 and Kris took a break from singing to focus on her other talent, cookery, eventually opening and running a very succesful resturant. After a lengthy break she is back forming again.